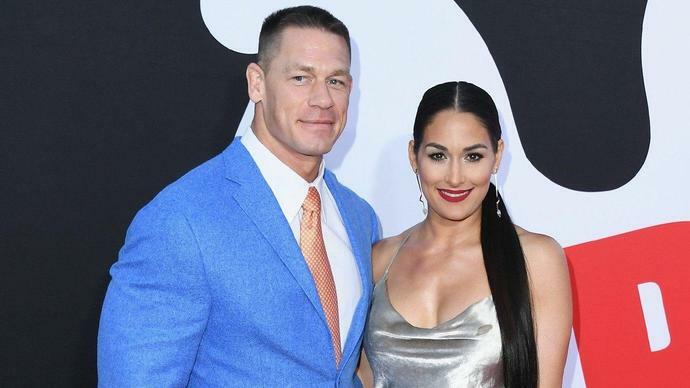 \"It scares me to ever have another public relationship.\"
"When everyone was saying what I was going through was fake for ratings and all that and when you're really going through it, it's like, you're just, in my heartache you're literally just knifing it and just churning it," Nikki says of the rumors. "We're both are at the point that we just don't want to be talked about at all together anymore," she insists. "We don't want our breakup to define us or interfere with our work. And that was happening for a while." "Going through all that, I don't ever want to do it again," Nikki continues. "It scares me to ever have another public relationship." "I don't want my relationship to define who I am, as a woman and to take away all the hard work that I've ever done in my career," the 34-year-old TV star says. "I think for a man, it's different. I feel like, if anything, the woman gets blamed for what happens, for taking away from what they do. But I get all my work taken away because of that. I don't know, I feel like sometimes there's a double standard and I really have felt that. And it's been really, really hard." "I [was] lost for so many years. That was all my fault. I'm the one who forgot about me," she tells Cosmo. "I have realized now to truly have a happy life, you have to give yourself so much love first and work on you in any way you can."